Good morning! 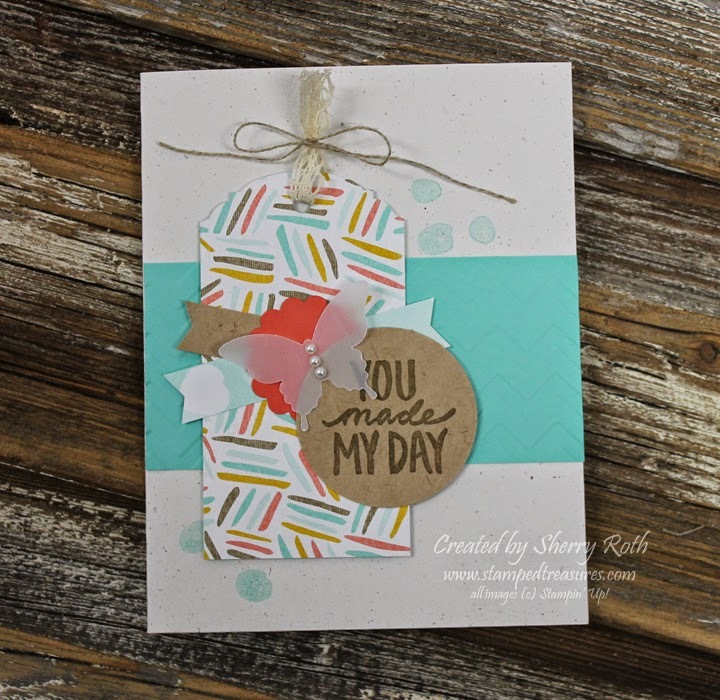 Today I am sharing a card that I made for a Sale-a-Bration swap that I participated in. It uses the stamp set Best Day Ever - such a cute set! The card was inspired by a card created by Sarah Sagert. I basically followed the same layout but made a few changes to make it my own. I loved all the layering so pretty much kept that the same. In addition to the Best Day Ever stamp set, I also used the coordinating DSP - you'll be seeing lots of that over the next few months! This will be one of the cards that we make at stamp club this month. And January is my membership drive month... what does that mean? It means that you can come check it out for free! Each month we learn a new technique and create 3 cards. It's so much fun! You learn new techniques, get to stamp and gradually build your supplies and make new friends to boot. Plus there are lots of perks to becoming a member. So why not invite a friend and come try stamp club this month and see what it's all about. You pick the date and time that works best for you! What have you got to loose? Come give it a try! Send me an email to let me know you'd like to attend and I'll send you the location details. Not in the Edmonton, Sherwood Park area? That's Ok - you can still join virtually. Ask me how. I look forward to stamping with you soon!